Ready to join the e-commerce revolution and start your own online business? If so, you’re probably wondering which products to sell, What’s your target market? How will you market your store? Also, How much money can you make in this industry? This article will teach you how to start your own business and join the e-commerce revolution the right way. 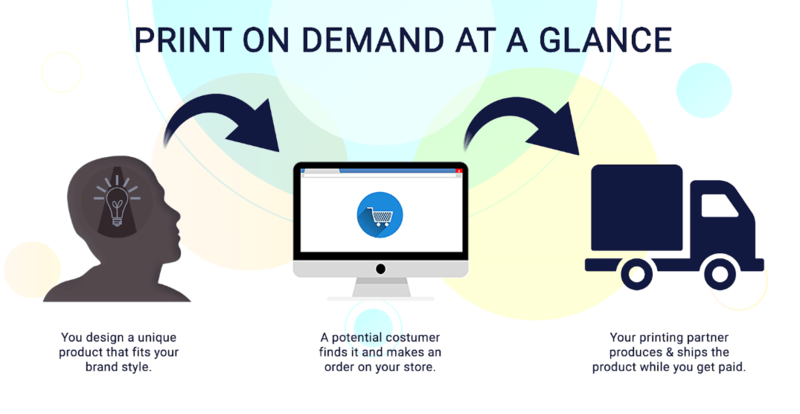 Opening a Print on demand store is a proven way to make money online. For many people, it becomes a lifestyle. It’s also easy to start – you can launch your first store for under $100! In a nutshell, POD is an online business model where a printer of e-commerce goods provides you with printing and ships merchandise directly to your customers – on demand. You sell products that are printed on “blanks” – blank t-shirts, mugs, bags and other merch. You upload your images to your partner’s app, choose the markup for each product, add the product to your e-commerce store and then pay for each product sold. For example, you pay $9 for a t-shirt with your custom design on it. You list it on your website for $27. Someone buys it, your printing partner receives an order and fulfills it. You sold it for $27, paid $9 to the supplier and earned $18. The best part is that you only have to pay for what you sell which means little to no capital risk. Also, there’s no need to handle inventory space or shipping. You can focus on sales and growing your business. That’s the beauty of POD dropshipping. Also, you can hire experienced freelancers for a lot of tasks. You don’t really want to spend all your time doing tasks like looking for new sellable designs, processing orders, following up with your partner, creating and updating listings, and the like. You want to focus on growth. Hiring a freelancer to take care of all the day-to-day tasks frees you up to scale rapidly and efficiently so you can make maximum profit. Of course, a POD business sounds like a gold mine, but that isn’t entirely true. There are drawbacks and benefits you’ll want to consider before making a move. 1. Low startup costs. Unlike traditional retailers, there’s no need to invest thousands of dollars before you even start selling. $100 is enough to begin. You can get your domain name, a Shopify subscription and a nice theme for very little money. And print on demand networks like Printify are free to use, so you can access the full catalog immediately. 2. Quick to set up. Nowadays, web design can be done by anyone. There are themes, guides, plugins, and templates. You can have your store up and running in no time. To get it set up even faster, you can hire a remote freelance developer with specific experience in designing e-commerce storefronts. This can save you a lot when you think about the time that you’ll spend getting it right. 3. No need for inventory space. Your supplier takes care of order fulfillment, while you can focus on selling. 4. Easy to experiment with product designs. Try out new ideas with little to no risk and make adjustments as needed. 5. Access to international markets. You can ship to wherever your print provider ships. Most ship internationally. 6. Sell YOUR unique designs. Whether you’re a graphic designer or artist, or you hire one on a freelance basis to create for you as needed, a POD business presents a chance to build up your own unique brand. That means the competition can’t copy you. This also means repeat customers. 1. You have to find a partner with quality “blanks”. 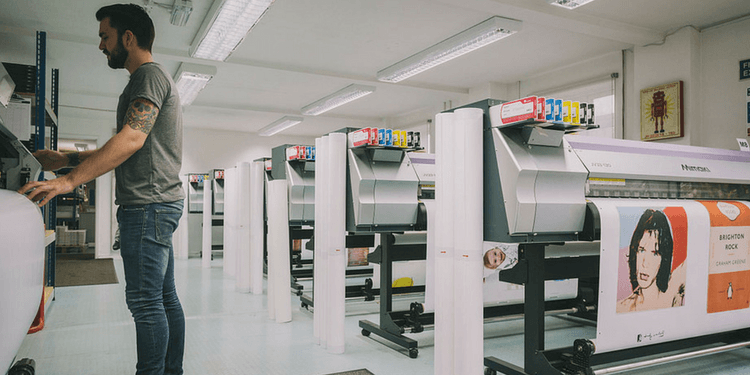 Since you have no control over the production process, you have to find a trustworthy supplier who maintains high production and order fulfillment standards at all times. Be careful because this affects your reputation and reviews. This is an area where you can also hire a freelancer to help you research potential suppliers, establish relationships, and keep track of quality control. 2. Low entry barrier. 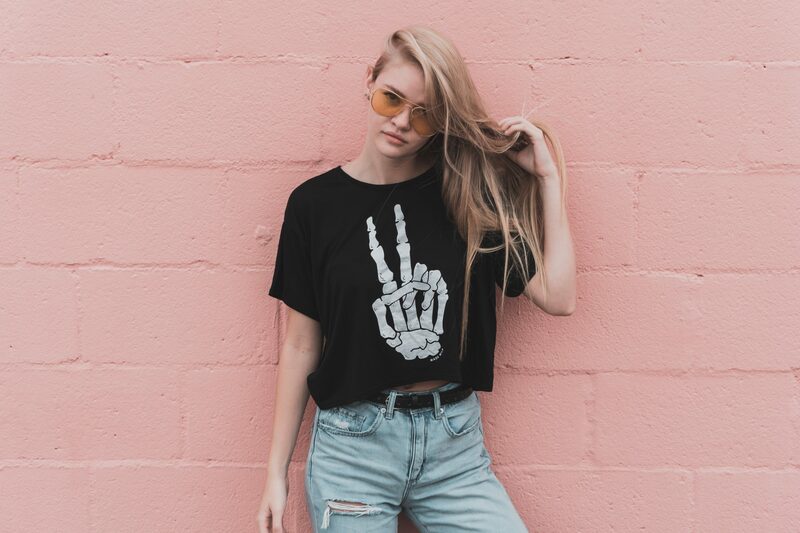 Even if you sell the coolest merchandise with the best designs, you still need to build up your brand and market your store well. The competition can be fierce, so bring your A game. If this isn’t your strong suit, get help from an expert freelance marketer. If ti is, hire a freelance virtual assistant to help with the smaller details. 3. Order fulfillment + delivery time can take up to 2 weeks. Average fulfillment can be as low as 1-2 days, but delays and mistakes can happen. This will cause frustrated customers and possibly bad reviews. Customer support is key here. Again, look into hiring freelance customer support specialists who can help you cover the hours that you sleep, or take over completely. 4. Finding a profitable niche and learning to recognize good designs can take time. Learning the ins and outs of the POD business takes time – time to find reliable suppliers, time to discover the most profitable designs, and time and effort to grow your business. Outsource that, and take on a monitoring role. 5. Returns management can be tricky. Make sure that you align your return policy with your supplier’s. Get someone to keep an eye on things and report any issues to you. Create SOPs for handling these so a freelancer can start implementing without your approval. 6. There might be some added costs. If you’re serious about your store, you might want to spend more. Domain registration, plugins, payment gateway, and paid ads cost extra, but they also give you a competitive advantage. If you’re going to do this and you’re not sure what’s best, consult a freelance expert then hire a few people who can do it better than you can. First, let’s take a look at how to open your own successful POD store. You create a website, find a suitable POD vendor, design products, publish them and sell them. The manufacturer prints your product, packages it and ships it to your customer. When your customer receives the goods, all parties win: you and your supplier make a profit and the clients get what they wanted. In practice, it’s a little more work than that. Which niche & products should you choose for your POD business? You might want to use phone cases, mugs or t-shirts to sell your designs. However, you shouldn’t decide that before you do some proper research. The first step is to find a niche where you can thrive. It can be something as specific as “cats on synthesizers in space” or something broader like “manga comics.” If you don’t have your mind set on one niche, brainstorm some 20-30 ideas. For instance: basketball, ecotourism, healthy food, biking, etc. The more specific your niche is, the easier it will be to stand out and find your customers, as long as there’s a high enough demand. You might want to control this first step, but the rest of the work can be passed on to a virtual assistant with experience in product research. Next step, begin validating your ideas by searching social media. Check Twitter, Facebook, Instagram, Pinterest, Reddit or Google Trends to see who’s talking about your niche and what they are saying. If there are plenty of active and passionate people talking about your subject, they could potentially be your customers. Now narrow down your list to the ideas with the most promise. Lastly, find out what’s already being sold in your niche on Amazon and eBay. Don’t worry if you find products similar to your idea. Pay attention to the number of reviews – it’s a good indicator of whether these products actually sell. If you’re an artist or a designer in your particular niche, stick with your own style. If you already have an audience, they’ll love your merch too. Once you’ve found your niche, you’ll also want to know which products to sell. There are thousands of products to choose from. For starters, you might want to stick with what’s popular. The most popular POD products are t-shirts, hoodies, mugs, notebooks, phone cases, pillows, and posters. Don’t get distracted by the variety. Align your products with your niche. However, don’t stress out getting it perfect right at the beginning; mistakes won’t cost you much anyway and you’ll have plenty of time to experiment later. Once you know your niche and key products, the real work begins. If this is your first website, it might seem overwhelming at first. Don’t worry – we’ve got your back. 1. Register a domain name. You can get one at GoDaddy or a similar service provider. Choose a URL relevant to your niche that’s easy to remember. 2. Choose an e-commerce platform for your website. The easiest way to do it is using Shopify, WordPress + WooCommerce plugin, or Etsy. 3. Design your store. WordPress, Shopify, and Etsy provide easily customizable templates. Kick-start your creativity and use them as a starting point. You’ll need to get all the basic pages done (home, contact, payment, shipping information etc.) and make your website easy to navigate. 4. Supercharge your store with your partner’s dropshipping plugin. Once your website is more or less ready, it’s time to choose a print provider platform. If you’re using Shopify, search their App Store, or check with your provider for integration options with WooCommerce and Etsy. Promote your POD store to maximize sales. Marketing is an essential part of every POD business. Without marketing, you’re like a book on a shelf in the biggest library in the world. You must make it easy to find your business. How well you do it will reflect in your sales volume. Remember that freelancers can meet a lot of your marketing needs, particularly basic social media marketing. Social media is the obvious starting point because it’s free. Focus on 1-3 platforms depending on your niche. Starting with Instagram is great for anything visual like design. If you use the right hashtags with nice artwork, you’ll gain followers organically. Also, you can “steal from the competition” by following their followers, liking and commenting on their pictures. Hire someone with experience on the platform so you can benefit from their knowledge. Eventually, you’ll want to use paid ads on Facebook or Google to reach a bigger audience and increase your sales. Hire another freelancer for this who has platform-specific experience, ideally someone with a proven track record doing PPC. People who find your page while searching are easier to convert. That’s why Search Engine Optimization (SEO) is crucial. For now, you just need to know that a well-optimized website, product pages, product collections and blog posts will help you rank higher in organic search rankings and will bring more traffic to your site. 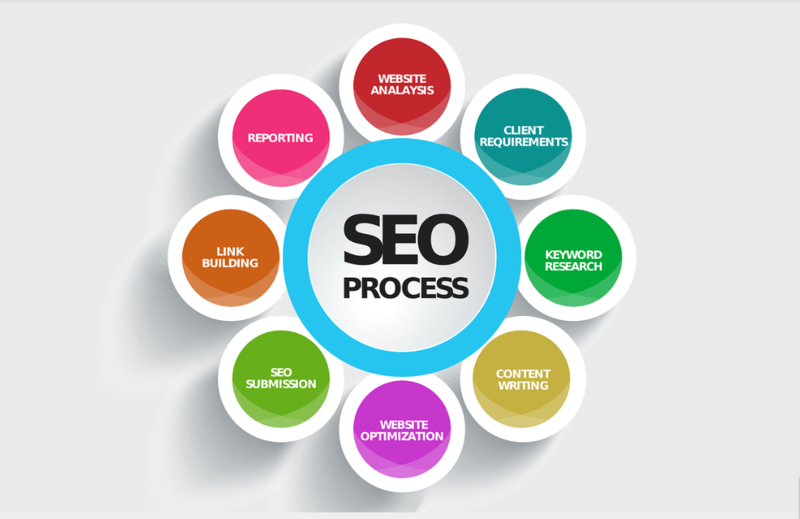 The best approach rather than learning all about the highly technical and complex world of SEO is hiring an SEO to get you optimized. They will consider the keywords that online shopper type in when searching for products like yours. Then, when writing copy and content for your store, you or the freelance writers you hire can incorporate these keywords to maximize on-page visibility. Don’t hesitate to pay experienced, qualified freelancers to optimize your site’s SEO and write great content and copy for your page. They do it best, and it will save you loads of time and headache. The best and most innovative e-commerce brands recognize the power of content marketing. Writing blog posts with the right keywords also attracts visitors, but it’s really about providing value to your readers and prospects. 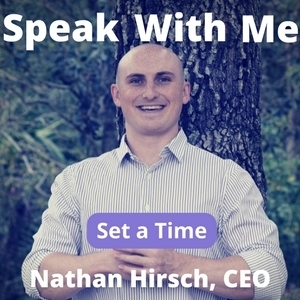 This is your chance to establish yourself as a transparent and reliable expert in your niche. Share your expertise, stories, and experiences. Hire more skilled writers as you grow and share epic content resources with your audience. Remember, it’s not about quantity, but the quality of your posts! Of course, this advice is just the tip of the iceberg when it comes to marketing your store. Look for other resources online and check out other blog posts about marketing and learn from your competition. Honestly, there’s no limit to what you can make selling your custom designs. It all depends on how well you do it, and who’s there to back you up where operations are concerned. Expenses also vary. For example, you could pay $20 yearly for a domain name, $29 per month for Shopify services, $20 per month on extra website plugins, $500 annually on custom designs and $100/month for paid ads. In such a case, your store will cost you around $200 per month. If you earn approximately $10 per sale, that means that you’ll need to sell 20-30 products per month to break even. That translates to one purchase per day. Again, there are many ways to manage and improve your e-commerce store. It’s all up to you. However, money invested wisely plus hard work brings a great return on your investment. This post was contributed by Davis Sarmins, Head of Performance marketing at Printify. Printify.com is a print on demand marketplace that connects ecommerce merchants and print on demand manufacturers. With main markets in US & Canada, we are 500 startups – Silicon Valley accelerator – alumni of batch 18. Our investors have extensive knowledge in ecommerce and product development, including Gokul Rajaram – “godfather” of Google Adsense and Facebook Ads.